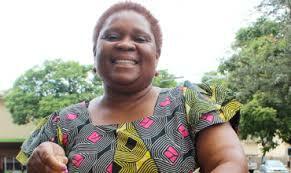 THE Senator for Matobo Constituency in Matabeleland South, Ms Sithembile Mlotshwa (MDC-T), has died. Ms Mlotshwa died yesterday at the United Bulawayo Hospitals where she was admitted for an undisclosed illness. MDC-T acting national spokesperson Ms Thabitha Khumalo confirmed her death and described it as a huge loss to the party. “We’ve lost one of our senior party members, Senator Mlotshwa. She passed on today (yesterday) at UBH where she had been admitted. We mourn with the Mlotshwa family,” said Ms Khumalo. A family spokesperson referred questions back to the party.